Sterling Reef Beach Resort in Panama City Beach is ideally located for endless family fun. Dive into the amenities to see just how much Sterling Reef has to offer, including bi-level swimming pool, fitness center and activity room. Directly on the beautiful white sandy beach, it is also across the street from the popular water park Shipwreck Island and next door to the Bay County Fishing Pier. 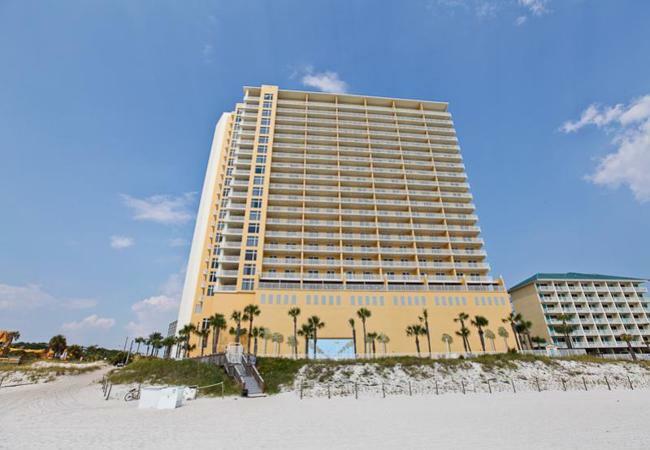 Equipped with the bi-level pool, an activity center and fitness facility, these beach rentals in Panama City Beach have it all for the perfect vacation to the beach. Sterling Reef is close to the Frank Brown Sports Complex an incredible outdoor recreation facility with playgrounds, picnic areas, saltwater fishing pier and more as well as hosting many special events and tournaments throughout the year. This beach resort is also close, only 3.4 miles, to Panama City Beach’s newest shopping and lifestyle center, Pier Park, offering over 900,000 sq. ft. of premiere retail, dining and entertainment attractions. Come and stay with us and create a great family vacation memory right here.